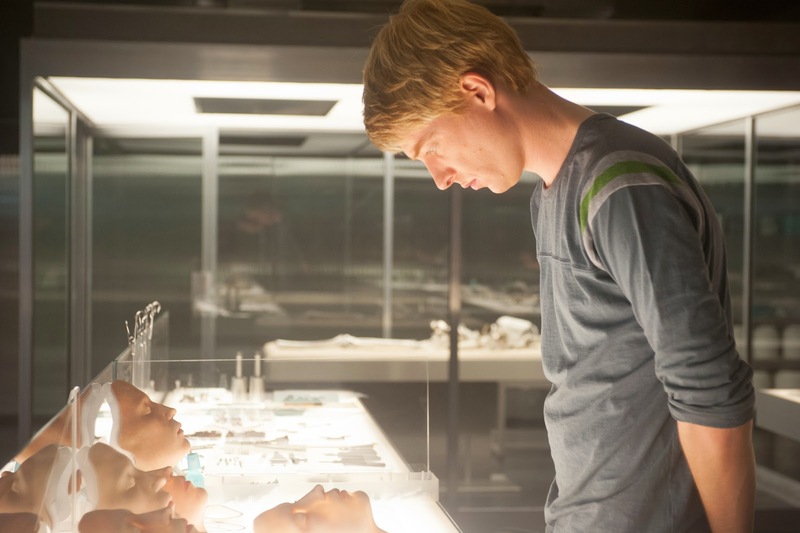 Movies like Ex Machina can be exceedingly tricky to pull off. In an attempt to strike the delicate balance between saying Something Profound About the Nature of Humanity and just telling us an engaging and entertaining story, movies of this ilk can often buckle under the weight of their own ambition and pretension. It is the mastery of that precise dynamic that makes veteran screenwriter Alex Garland’s directorial debut such a powerhouse. It is challenging but not condescending, thoughtful but not heady, deliberate but about as far from boring as it gets. It is, quite simply, one of the best movies of the year and one of the best sci-fi movies in several years. But the charm and effectiveness of Ex Machina obviously goes beyond its ability to sidestep the landmines that roughed up its predecessors in the genre. The story is a simple one. An ambitious young programmer at the world’s largest search engine named Caleb (Domhnall Gleeson) wins the chance to spend a week at the lavish and secluded estate of his company’s CEO, Nathan (Oscar Isaac). While there, he will act as the human half of a Turing test, designed to test the sentience and awareness of Nathan’s newest creation, a humanoid robot named Ava (Alicia Vikander). This will be a spoiler-free review because the movie’s power transcends the simple mechanics of its plot, but because this is a movie, you can probably guess that this all does not go well, as Caleb is soon challenged by Ava’s advanced artificial intelligence on an intellectual, emotional and sexual level. While the many sessions between Caleb and Ava are far from the first in movie history to feature a human being talking to highly intelligent robot, there is a unique and propulsive energy about them that makes the experience feel new and, eventually, dangerous. The crispness of the writing is not a surprise, given that Garland has penned a engineered series of pleasing genre fare over the past decade (Never Let Me Go, Sunshine, 28 Days Later…) and once again penned the screenplay here. What is surprising is that Ex Machina might be better than all of those films because of what a natural fit Garland now seems to be in the director’s chair. His camera glides around Nathan’s exquisite post-modern mansion with dread and and intrigue creeping at the edge of every frame. On a more basic level, the movie is absolutely gorgeous, as Garland and cinematographer Rob Hardy build us a world that seems at once futuristic and timeless, transforming some weird hotel in Norway to place that really does have the effect of a dreamscape. Garland also displays an absolute mastery of tone. The movie is unquestionably dark and at times downright chilling, but he is able to inject enough levity and eccentricity to allow Caleb, and, by proxy, the audience, to let our guards down and fall even deeper down the rabbit hole. Much of the credit for that goes to Oscar Isaac, who flat-out steals this movie and does a series of victory laps with the loot before our very eyes. Much like the point I made about the movie itself at the top, there was so much potential for Isaac to be content with aping the tropes of the “wealthy genius recluse” we have seen time and time again. Instead, he made the brilliant decision to position Nathan as the apogee of what we’ve come to know about the poisonous tech-bro alpha-male culture of Silicon Valley. When he’s not monitoring the sessions between Ava and Caleb over his compound’s closed-circuit television, he’s often getting blind drunk, working out to free his body of the previous night’s poison, getting drunk again, or having disco dance parties with his live-in Japanese home servant just for the hell of it. As Ava begins to suggest to Caleb that Nathan has not been entirely forthright about his intentions for the project, the tension among the three players in the house begins to escalate. But because Isaac has smartly laid bare all of Nathan’s personal foibles for much of the movie’s running time, he becomes a kind of villain that I’m not sure I’ve ever really seen before, one whom you are never quite sure whether to laugh at or fear in equal measure. Another of the movie’s many triumphs is the way it marries the idea of artificial intelligence’s implications for the human race with mankind’s own active role in that ultimately destructive process. Nathan is the head of the world’s foremost search engine, and his ethically questionable methods of running that company are soon revealed to be the life force behind what has made Ava such a marvelous creation. Here again, Garland takes what may have been a clumsy, winking ripped-from-the-headlines plot thread and handles it with grace and nuance, not holding our hand through these Big Moral Questions but rather throwing us into the deep end of the pool. I will hold true to my vow about not revealing the movie’s secrets, and I remain a firm advocate of going into a movie as blindly as is practicable, but there is a development late in the movie that one might fairly term a “twist.” It is the sort of legitimately jaw-dropping (I only use hackneyed phrases when they are literal, as was the case here) quality that arises out of something more than sheer shock value. I sat in the theater after the credits rolled and just marveled at how plainly the film explained to me precisely what was going to happen and yet still managed to hit me like a damn sledgehammer to the stomach. That’s the kind of movie Ex Machina is. It’s been burrowing around in my brain for days now, making me laugh and cower and contemplate again and again and again. I’m hard-pressed to recall even a single false note in the whole damn thing, and to the extent that there even were any, I either forgot or do not care. I plan on seeing this despite the fact that I'm pretty sure I know the twist of the movie just from watching the trailer. It feels like blade runner to me. Thank you for the thoughtful review, Alex. I enjoyed the movie on many levels: smartly written, good performances, and a great conversation starter. It struck me that each of the three characters could be seen as the protagonist or antagonist at different points in the story. While the plot revolves around the relationship between man and machine, it reads equally well as a commentary on the relationships among men and women. Nice write up. I enjoyed this film quite a bit. I couldn't agree more about Isaac stealing the show. I think the movie was most engaging when he was on the screen. I also loved the stark contrast between the modern, industrial feel of the house and the beautiful nature surrounding it. A few weeks ago I told a friend that I didn't think I'd see a better movie in 2015 than It Follows. 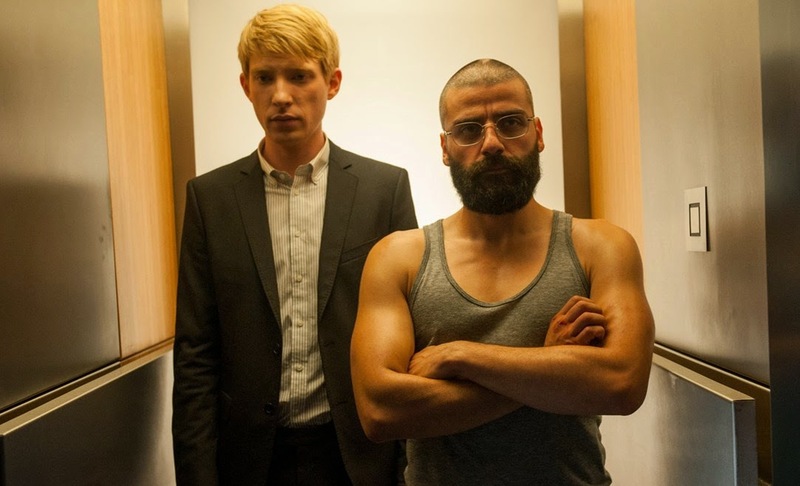 I was wrong, Ex Machina is incredible. Just saw it this afternoon. I agree completely. I was riveted from the beginning. I didn't love it as much as you, Alex, unforunately. I realize that this is just my expectations, but the movie didn't seem to delve as deep as I thought it would. It didn't seem to hit the heights that it seemed to be promising from the early part of the movie. A lot of the critical feedback, including yours, has been very positive, so it makes me want to revisit my opinion, for sure. I think what ultimately is at the core of my nitpicks is that these very intelligent characters do some unintelligent things, and I can't seem to shake that. I still thought it was ok, and definitely want to revisit it. Yay for late comments that nobody's going to ever read! Just saw Ex Machina. Was drawn in from the start, then towards the end it started to lose me a bit. But then it took a slight turn and completely won me over again. I love how (spoilers?) it all did end up being about Ava, and not the two dudes, who were both messes in their own ways. It's a movie worth talking about, even months later.